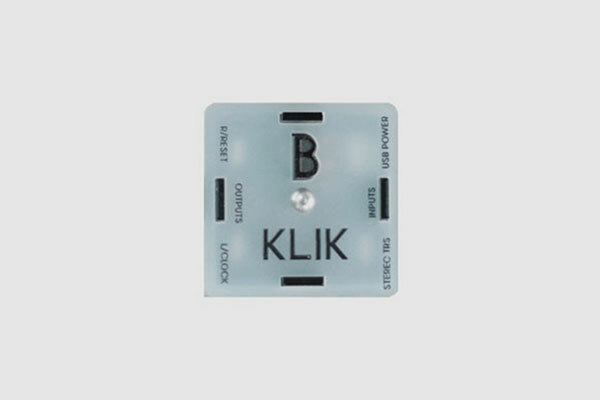 Klik is a synchronisation device that enables you to make analog, rock solid sync signals from your computer and your HW synths. The KLIK revives the old-school sync technique of using an audio track for synchronisation purposes. Record your synths exactly on the grid into your DAW while compensating for the latency of your sound card. Jam really tight between your computer and your HW and add groove to your clock.